I started to play around with GPscript.exe here the other day and found some interesting stuff and I want to have this documented for the future, so therefor I wrote this blogpost for you to read. I know from previous experiences that GPscript.exe is responsible for triggering logon scripts when you define them in Group Policy. After thinking a bit about this binary I did a strings on the file to see if could see anything interesting, and sure enough I did. In my example I defined a simple batch file as a logon script (C:\data\Dummy.bat). A lot of the different GUIDs can be found here. 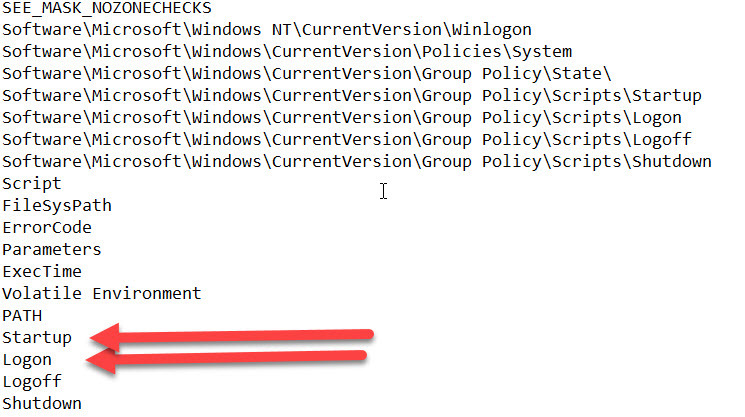 Remember that the testing I did was against local group policy and not a defined Domain Group Policy. It is also important to understand that you need local administrator permissions to conduct these operations I am explaining in this blogpost. After struggling a while with getting the registry keys and files in place for an attack I ended hitting my head against the wall. I reached out to the awesome Darren Mar-Elia aka grouppolicyguy on the Bloodhound slack. After some discussions he taught me something incredibly interesting. You don’t need to add those registry keys at all. Thanks again Darren! Run Gpscript /logon and the script executes!! Another cool thing that I discovered is that this technique this does not show up in autoruns. I have not tested this if the computer is joined to a domain, but I am assuming that this persistence trick will work there as well, unless there is a domain gpo that overruns the setting. If you want to go with computer startup scripts, you must know that it shows up in autoruns. 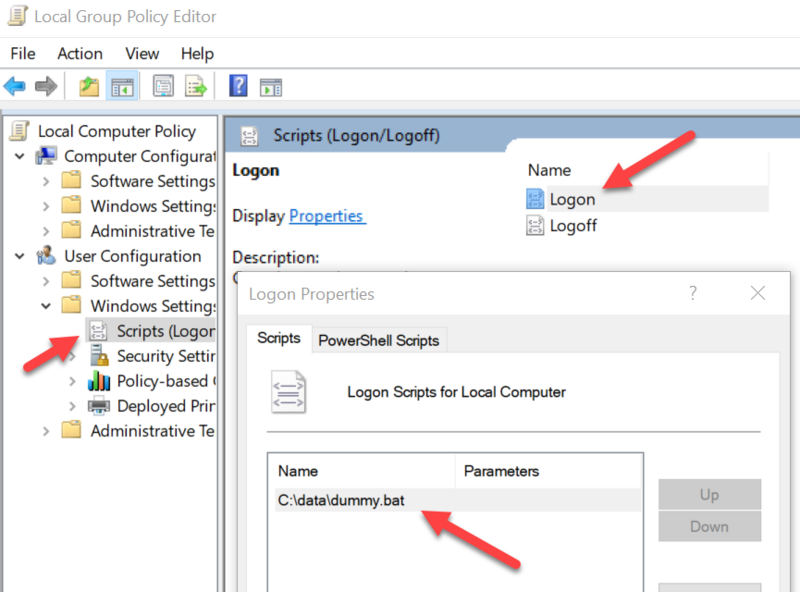 You can define a startupscript for the computer as part of the group policy and get GPScript.exe to fire the script. The only “stupid” thing is that you need to get GPScript.exe started as system and supply the /Startup parameter. That means you already need to run GPScript.exe as system for this to work. In my example I have a script called dummy.ps1. I would monitor for changes to or new Scripts.ini files. It was not until after the intial discovery of the persistence technique that I figured out that it was already discovered by Adam – @hexacorn. He has written an excellent blogpost about this here .